Chris Done grew up watching Star Trek, and her ambition was to be Spock. Black holes were a standard plot device, linked to wormholes in space, and time travel and alternative Universes… fascinating! So she did her PhD in Cambridge on the intense X-ray emission released as material falls into a black hole, and then worked for NASA where an unexpected highlight was being part of the ground control team flying an X-ray telescope in the payload bay of the space shuttle. 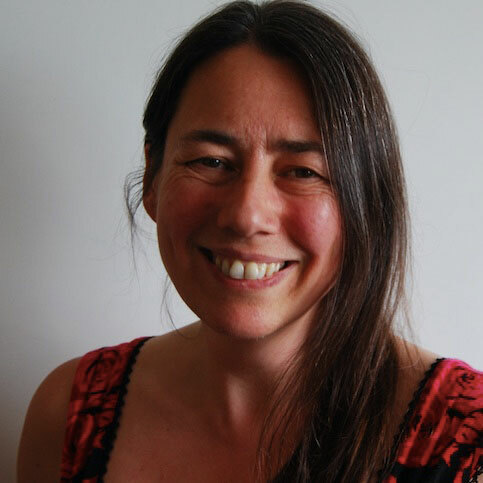 She is now based in Durham, where she was one of the first women to be appointed as Professor in their Physics Department, and was awarded the 2019 George Darwin Lectureship from the Royal Astronomical Society. She has worked for every major space agency on the planet (apart from the Russians) and is living her childhood dream of getting paid to think about black holes. Black holes: Einstein’s gravity and rocket science! Black holes are black, and space, your basic space colour is black. So how are we meant to see them? It’s much easier when nearby matter is captured, releasing enormous amounts of energy as it spirals down into the immense gravity well. This comes out as intense X-ray radiation, turning the darkest objects in the Universe into the brightest – like the last scream before the material disappears forever below the event horizon. But X-rays do not penetrate through our atmosphere, so it required rocket science to detect this emission! I will describe how we can use these X-rays detected from space based instruments to test Einstein’s gravity in the strong field limit.